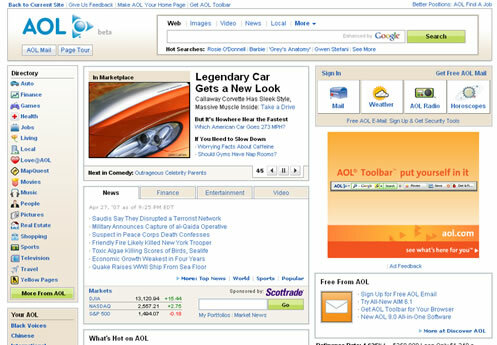 If the redesigned AOL homepage looks familiar then you are right it has lot of similarities to the Yahoo home page. Aol announced a redesign of the home page, looks like the design is borrowed heavily from Yahoo. We can call it as a Yahoo clone instead of AOL. The new design is called AOL 3.0. See the screenshot embedded below to see the striking similarities with the current Yahoo home page which was introduced last year. What do you think of the new AOL home page, is it good or is it just another me too home page based on Yahoo. True, but this clone is almost better then original!